Whether you’re in a highly technical profession or a free flowing creative spirit, continuing to learn and develop in your own area of expertise will most certainly benefit your career. However, in addition to ‘bettering’ yourself in your comfort zone, I personally also like to challenge myself to acquire new skills and discover new areas of knowledge. Oftentimes, I end up developing a new passion that I hadn’t considered before! 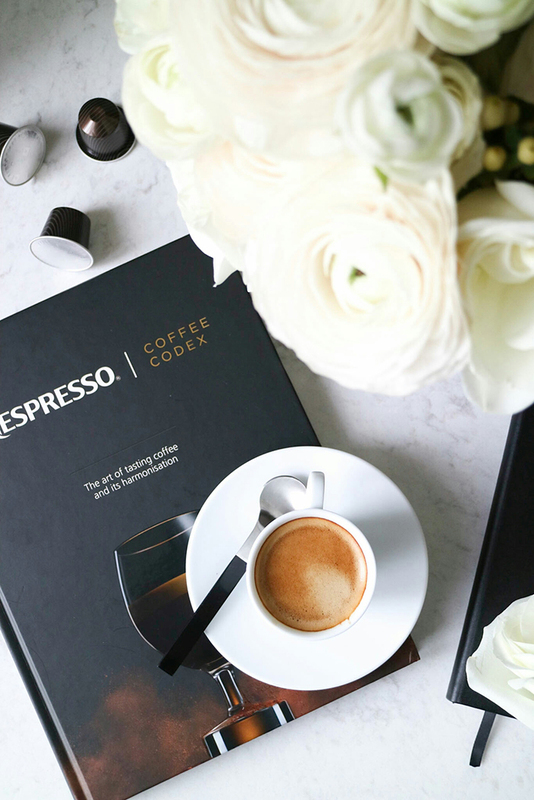 Since becoming a part of the Nespresso Coffee Connoisseur Club, I’ve managed to learn a few new tidbits about coffee. It has widened my familiarity and preference in both taste and intensity of coffee. 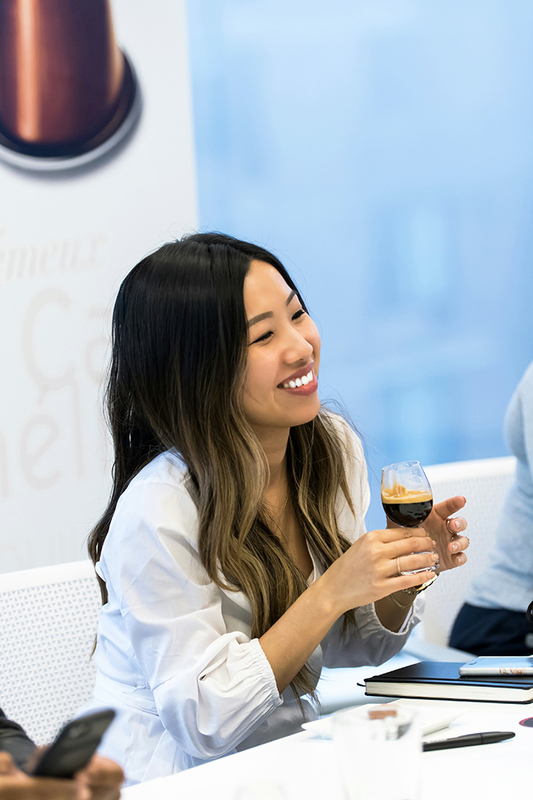 Earlier this month I had the pleasure to join the Nespresso team in touring the newest launch of Nespresso Academy in Canada, located inside the brand’s Montreal Head Office. 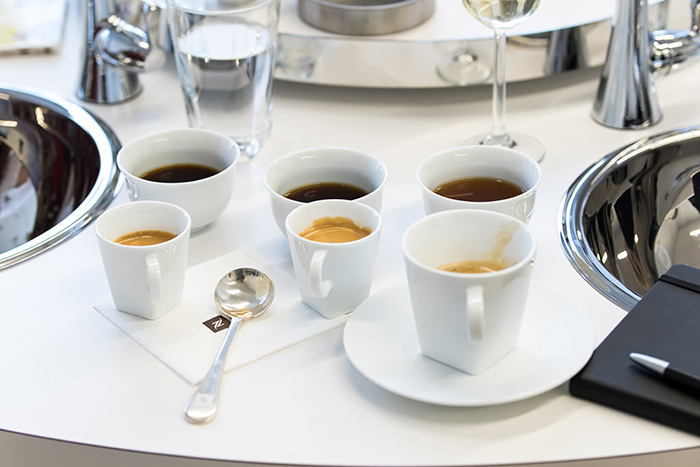 The Nespresso Academy is a special place and embodies Nespresso’s commitment to high quality, innovation, and continuous learning. I was extremely honored to be one of the first few people to be invited to experience what the Academy offers. During my day at the Nespresso Academy, I had the pleasure to speak to both Sylvie Charette, Vice President Marketing and e-Business and Kate Gouron, PR and Events Manager and learnt that the primary purpose of the Academy was to provide the opportunity for internal staff to receive comprehensive training. Secondarily, Nespresso will also be opening this space for chefs and business partners to gain the full Nespresso experience. Wouldn’t be great if the Academy will be open to Club Members in the future?! I participated in two workshops that afternoon. 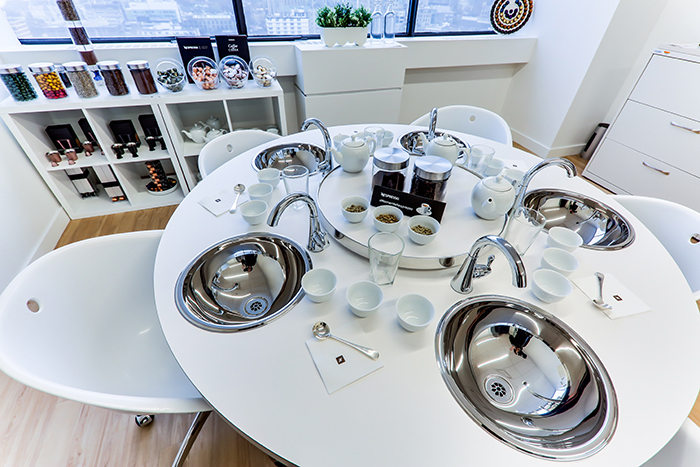 The first, was Green Coffee Cupping and the second, was a Blind Taste Test on Decaffeinated coffee. Ever wonder what happens before each beautiful Nespresso Grand Cru coffee is packed into colourful recyclable aluminum capsules? Well, my time with Hans, Nespresso Coffee Ambassador has revealed that there is a dedicated team of coffee experts around the world that go through a Green Coffee Cupping process (up to 15 steps to transform a green coffee bean into an espresso) to ensure that the quality of each coffee bean is exception. Hans walked us through several steps of this process, including the smelling of coffee beans at it’s green state, to tasting different lightly roasted varieties (apparently slurping is necessary!) to the final product. It was very humbling to see the effort that is required to put this product onto shelves especially when contrasted with the speed and convenience that a Nespresso machine delivers. How many times have your recalled someone raving about how delicious a cup of Decaf was? Well, Nespresso has come up with several Decaffeinato capsules to proof us wrong! We spent the rest of our afternoon with Elyse Lambert, Master Sommelier and Julien, Nespresso Coffee Ambassador and went through a fun experiment. Four different coffees were given to us, and we had to mark the ones that we thought were regular vs. decaffeinated. Guess what, I got them all wrong! 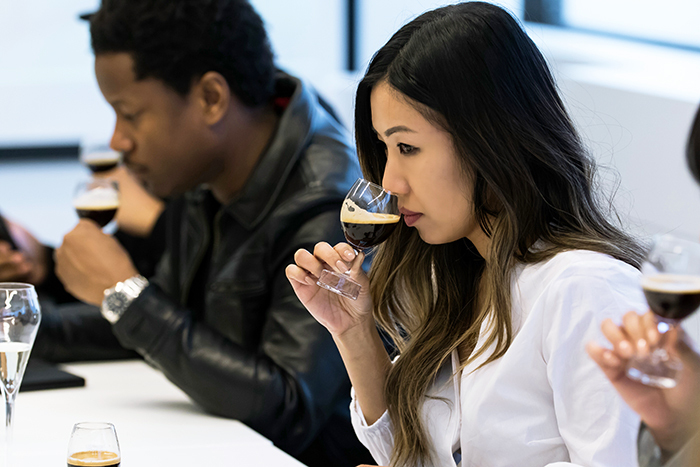 Goes to show that Nespresso has put a lot of effort in fine-tuning the quality, taste, and aroma of different variations of decaffinato, so that us regular coffee drinkers can also be fooled! I dare you to give Volluto Decaffeinato (intensity 4) and Ristretto Decaffinato (intensity 10) a try! 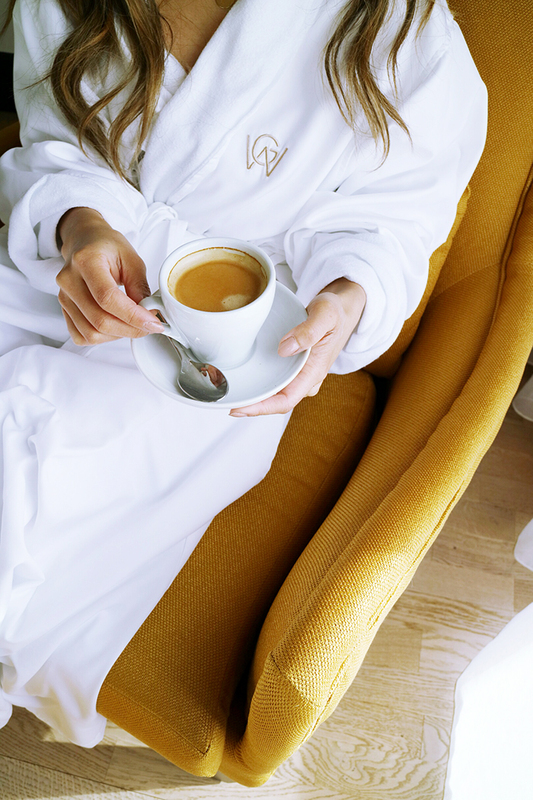 From my one very productive afternoon with the Nespresso team at the Academy, I came away with so many new discoveries and my appreciation for my morning cup of coffee has yet again increased. Hope you picked up a thing or two from this post and stay tuned for my Montreal travel story! Travel :: Plan Your Own Vacation!